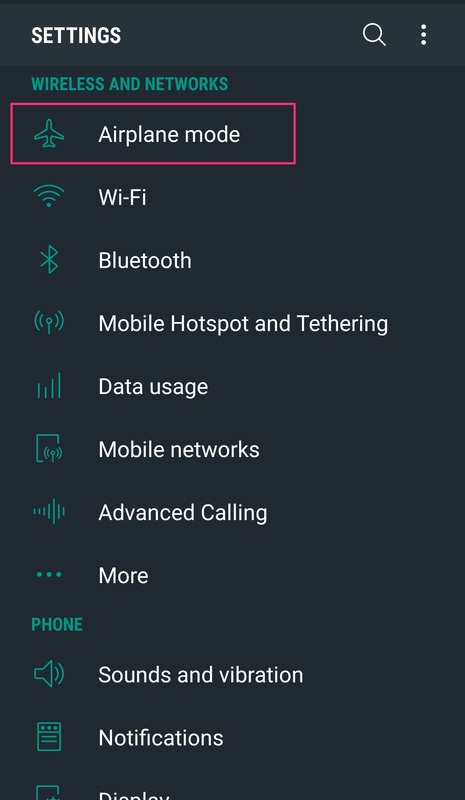 How do I toggle Airplane Mode or clear the cached DNS on my Android device? There are 2 ways to wipe this information. The first is to enable Airplane Mode. Note, each Android version/build may be different. 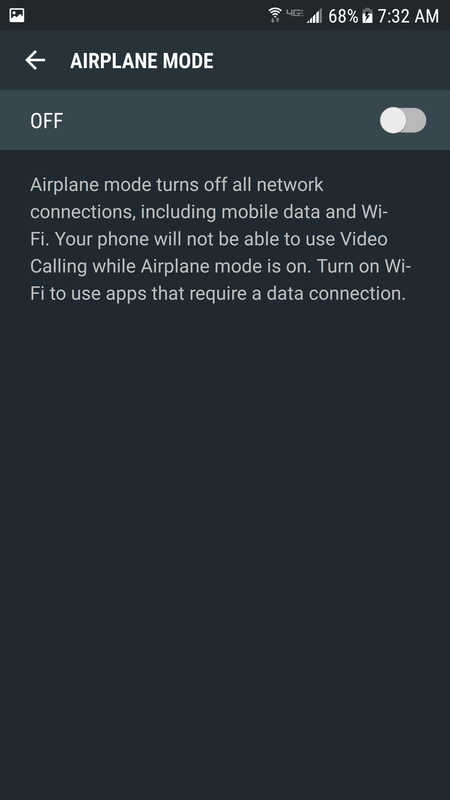 Go into the Settings of the device itself and select "Airplane Mode". This is usually at the top of the settings menu. Enable Airplane mode for approximately 10 seconds, and then re-enable it. 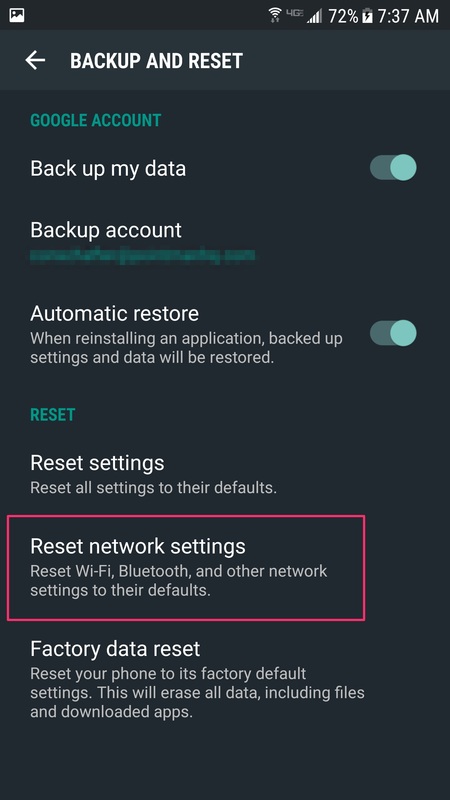 The other way is to reset Network Settings. This will also erase WiFi passwords as well as devices you have connected via Bluetooth. 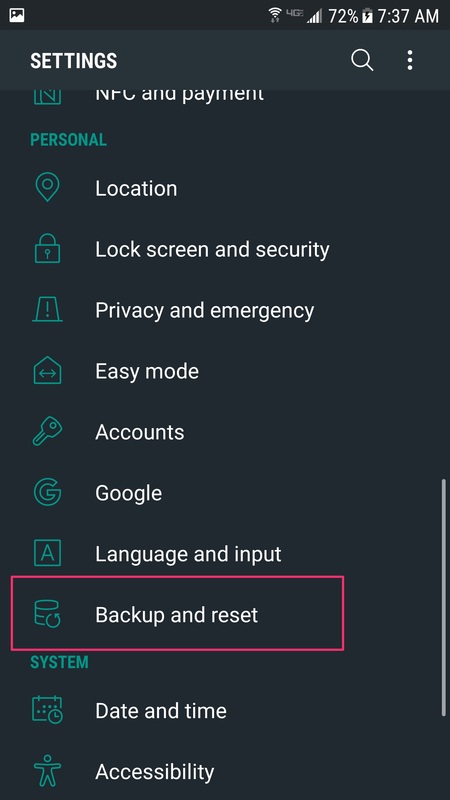 In the Settings menu of the device, select "Backup and Reset"
There should be an option to Reset Network Settings. Once selected, your device will reboot.